It is well said that “An apple a day, keeps the doctor away.” The juicy fresh hint of apple in the e-liquid will surely keep you from smoking cigarettes. The joy of tasting this flavour is eternal because it mesmerises you completely and gives you a new experience when smoking. It has a strong, sweet and refreshing taste like what an apple has. What is contained in e-liquid? This is the stimulant present in cigarettes that makes it addictive to users. It is available in different strengths; the liquid nicotine content in cartridges is usually labelled as being nicotine free (non-nicotine); low (0-6mg of nicotine); medium (11-16mg of nicotine) or high strength (18-24mg of nicotine). The bottled e-liquid usually ranges in strength from nicotine free up to 36mg of nicotine per ml. 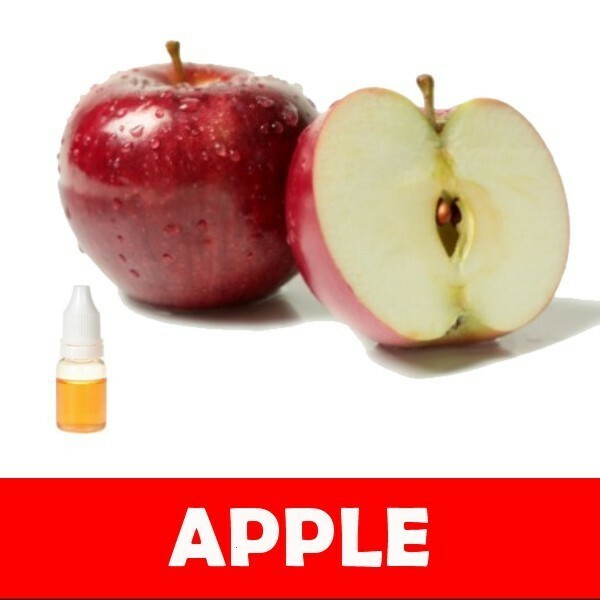 In Australia you can buy only non-nicotine e-liquid. It means all liquids cannot contain nicotine. There are a wide range of different flavours available to be purchased at www.e-ciggy.com, some of these include tobacco style flavourings as well as a whole variety of other exciting flavours including mint, vanilla, chocolate, mint and fruit flavours like strawberry, cherry and apple. Finding the best taste to suit an individual is down to trial and error as it is very much down to personal preference. Propylene Glycol (PG) and Vegetable Glycerine (VG) are both odourless, clear liquids that are added to e-liquid to produce a visible vapour. The vapour is important as it is what delivers it into the lungs and because most smokers enjoy the feeling of inhaling and exhaling something that looks like smoke. Both Propylene Glycol (PG) and Vegetable Glycerine (VG) are used in a variety of foods and are considered to be safe. Most e-liquids on the market contain Propylene Glycol. Propylene Glycol produces a sweeter e-liquid with less vapour but more hit to the throat, while Vegetable Glycerine is less sweet but produces more vapour. How much e-liquid equates to 20 cigs? There are lots of variables in place here such as the strength oand the way a person inhales it; however, approximately 1ml of e-liquid equals the same number of 'puffs' as a pack of 20 ciggies.